White daisies are simply beautiful. 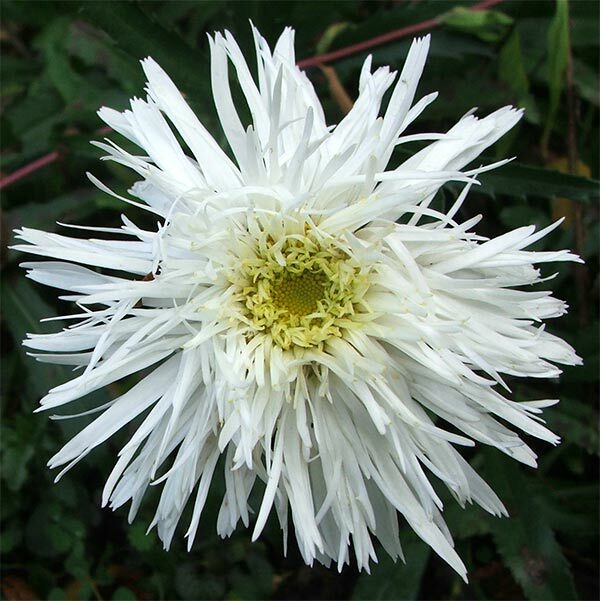 The colour white is the greatest garden gift, and the daisy flower shape is delightful. With a petal pattern we can all draw, daisies are cute, childlike, and gently romantic - timeless floral friends. Every summer my garden is home to ever-expanding clumps of white perennial daisies - I call them Shasta daisies. They seed, they spread, they flower, they fall over - leading a most uncomplicated flower-life, each year the same. Then I have one smaller clump of shaggy Shastas. They are shorter, less aggressive, and - ahem - less smelly than the usual ones. Smell is a serious problem with these easy care flowers. For summer there's nothing nicer than a blue vase full of large white daisies. Unfortunately last time I picked a handful to proudly display on the hall table there were very rude comments about a Moosey cat forgetting his or her house-training. So unfair! 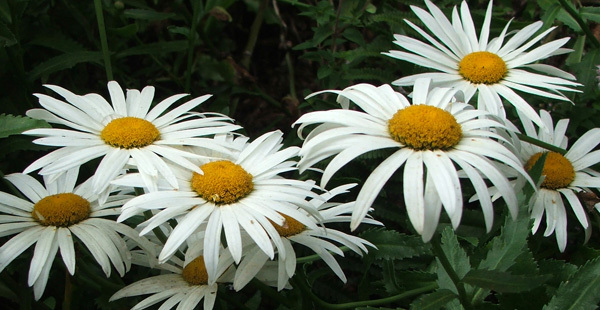 Sorry, Shasta daisies - you just don't smell nice enough! Oddly, checking in my Botanica's reference book (there is a Mount Shasta in Washington state where they were first noticed) I find no mention of odour. Hmm... Perhaps one of the Moosey cats did disgrace himself (or herself) all those summers ago!